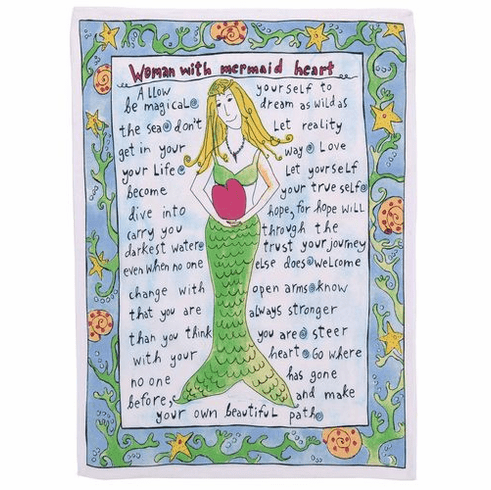 Woman with a Mermaid Heart 100% cotton kitchen towels is a lovely poem on an extremely useful kitchen necessity. This whimsical kitchen towel is the perfect way to put a smile on the face of your favorite "mermaid" or friend with a true heart. Towels measure a generous 18 x 25"